The online casino industry is constantly evolving to meet the needs of consumers. One of the most significant areas of change relates to withdrawal options for Canadian casino players. In the last two decades, payment methods have been known to come and go faster than the phases of the moon. In the following section, we’ll take a look at may viable withdrawal methods available to Canadian players. For convenience, I’ll include a basic description of each, with pros, cons and any other relevant details. Note that they are not listed in any particular order, as any method may be more suitable for one player than another. Credit card and debit card withdrawals are a very common option at online casinos. They are one of the faster methods available, often appearing in the user’s account within 2-5 days. Fees for credit/debit card withdrawals can vary significantly because they are imposed by, and at the discretion of, the card’s issuing bank. In order to process any payment to a credit or debit card, the player must first use that same card for at least one deposit. Many operators will also impose restrictions on card payments, wherein the amount withdrawn cannot exceed the amount originally deposited. InstaDebit (aka iDebit) is an online payment processing system, or eWallet. It acts as a link between the user’s bank account and online casino account. 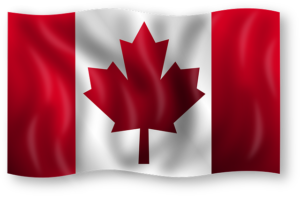 The iDebit firm is headquartered in Canada, and only processes withdrawals for Canadian customers. Therefore they are quick, appearing in the player’s account as soon as the casino completes processing them. Withdrawals to your iDebit account are free, but there’s a CA-$2.00 fee to transfer those funds over to your bank account. Transfers to your bank generally take 2-3 business days. Some casinos will require a player deposit with this method before an iDebit withdrawal can be placed. These can go by several names – bank transfer, bank wire, electronic cheque, eCheck – but the process is basically the same. An electronic funds transfer (e-transfer, or EFT) is processed by the casino into your bank account. These transfers can be quick, or take a while to process, depending on the exact method used, the casino’s processing time, and processing time of the receiving bank. Anywhere from 2-14 business days should be excepted. The cost will also vary by casino and receiving bank. Entropay is one of the fastest, most cost effective, and widely available ways for Canadians to receive a payout from online casinos. It is a third-party online payment processor that delivers heightened security through wholly anonymous transactions. The fees associated with Entropay are very low, especially if users transfer money into their Entropay account from a bank account first. Transferring straight from your bank to a casino will incur a small fee, whereas pre-funded transfers are free. ECO (aka EcoPayz, EcoCard), is another online eWallet service available to Canadian players. Registration is easy and free, and there are lots of ways to fund your account. They accept all major credit and debit cards, prepaid cards, bank transfers, and eChecks. On the negative side, some funding options are instant, and others can take days. Either way, there’s likely to be a fee of some size, just for funding the ECO account. Only certain types of bank transfers are free, and they take the longest. Everything else will cost between 1.69-7.0%. Withdrawals via ECO aren’t the fastest either, taking a minimum of 3 days, sometimes more, with relatively high fees attached to ECO > bank transfers. PaySpark (aka EziPay) is a very old, well established online payment method. Their services are very secure and extremely discreet. So discreet, in fact, that you can’t just sign up an account like you would with any other eWallet. You have to sign up through an online casino that offers this payment method, and there aren’t too many of those (less than two dozen accept Canadian players). Because of this, the registration process can be tedious and time consuming. Even funding the account can take some time, with casino deposits taking up to 2 days to arrive. For verification purposes, players must issue a PaySpark deposit before this withdrawal option becomes available. There are fees involved, but you won’t find them listed on the website… a bit too discreet, perhaps? Papaya is one of the newest Canadian casino withdrawal options. Founded in 2012 and registered with the Malta Financial Services Authority, they’ve taken all the right steps to establish a trusting relationship with their clients. It’s a supremely fast eWallet service available for deposits and withdrawals. They also offer prepaid cards, but not to Canadians. Being so fast with its payments, Papaya feels justified in charging fees for most services. They even charge a monthly account fee. Users are restricted to daily transaction limits, and must undergo a rigorous verification process to have them lifted.